Paleo Magazine Radio is the official podcast of Paleo Magazine, the original Paleo lifestyle publication. 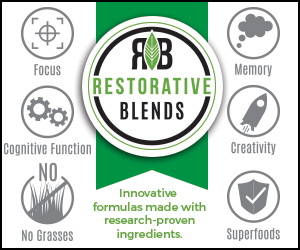 Each episode features interviews with experts, best-selling authors, celebrities, and folks doing amazing things to further the idea of improving ones life using ancestral health principles. One of my favorite Paleo-minded podcasts – the episodes are succinct and address a wide number of topics in the ancestral health community. This is the best paleo podcast I have listened to so far. Tons of great information from intelligent, informed guests…Host Tony Federico asks great questions and allows his guests to talk about their fields of expertise. This is also the first podcast that doesn’t spend half its time promoting the books, seminars and other products of its hosts. Instead, it introduces you to new voices in the paleo movement, mentions how to find out more about them, then gets on with the interviews. Great information, no blather. I love it. ***** Great Hosts, Informative Guests! Love this podcast, I listen to every one…This is the cream of the crop in paleo podcasting! …This is one of the best Paleo podcasts out there. 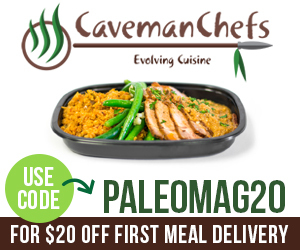 This is a great place to learn all things Paleo, glad I found it. I love this podcast. Tony is a wonderful host – great questions to great guests…Give a listen, you won’t regret it! This is one of my favorite “go to” podcasts. There’s always usable information beyond diet and exercise. Balanced perspectives elevates this podcast beyond the norm. I was hooked after my first episode!! Tony is an awesome host. Great questions and great guests. Highly recommended! I absolutely love this podcast!…The stories are so motivational and inspiring. I’ve learned so much and have much…My boyfriend and I are starting to make some changes in our lives and this podcast is definitely part of my toolbox for ideas and reminders. Thanks!! !